A great selection of the best design in the world featuring a highly curated online exhibit of contemporary design, renowned designers, and immerging cutting-edge newcomers. 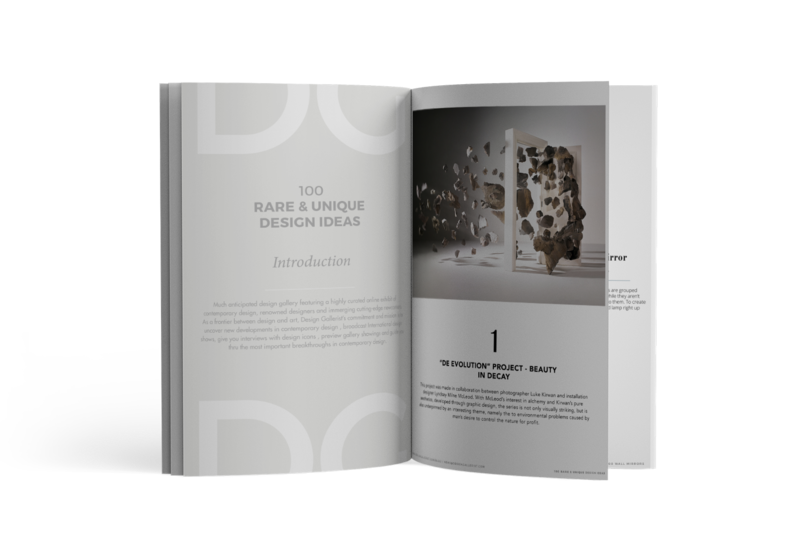 This e-book will present you some of the best design galleries, artists, fairs & exhibitions and contemporary design. Inside, we will show you broadcast International design shows, preview gallery showings and guide you thru the most important breakthroughs in contemporary design. Design Gallerist blog hopes this source be useful.